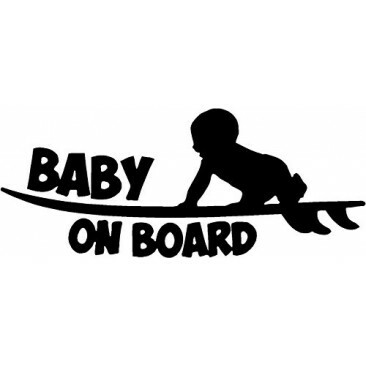 Very cute baby on board sticker for the car in the cool Hangover style. A great little something to add to your babybox gift. DID YOU KNOW WHY? Ever wondered why people have those Baby On Board stickers on their car? I always thought it was so people forgave you for looking stupid when singing songs in an exaggerated manner! Apparently it is to alert people to look for an infant in the car if theres an accident and the car can be too damaged to tell. I also heard it is so fellow drivers are more tolerant with you while you drive.